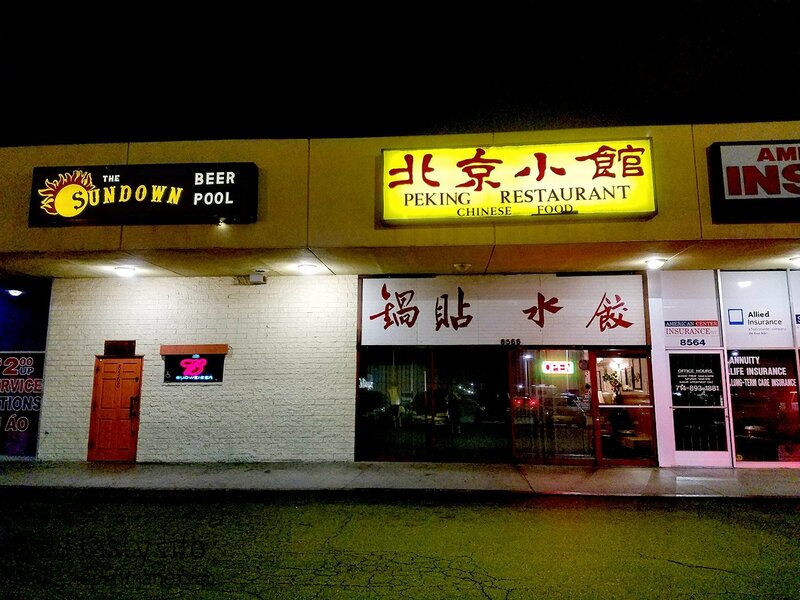 Almost four years ago, Jake and I found this little hole in the wall Chinese restaurant called Peking Restaurant in Westminster, CA. 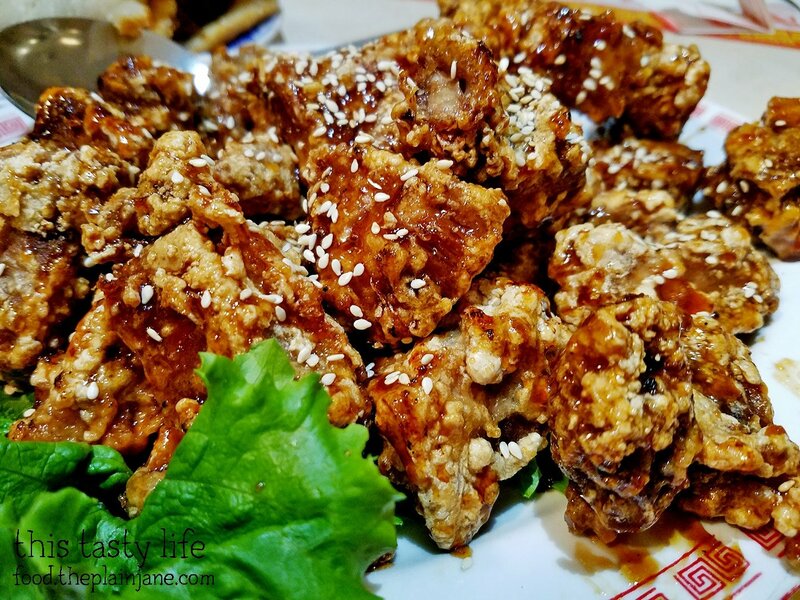 We made an impromptu trip to LA last weekend and through a series of twists and turns, I decided we should revisit Peking Restaurant. The exterior looks exactly the same. Even the businesses next to it are the same. 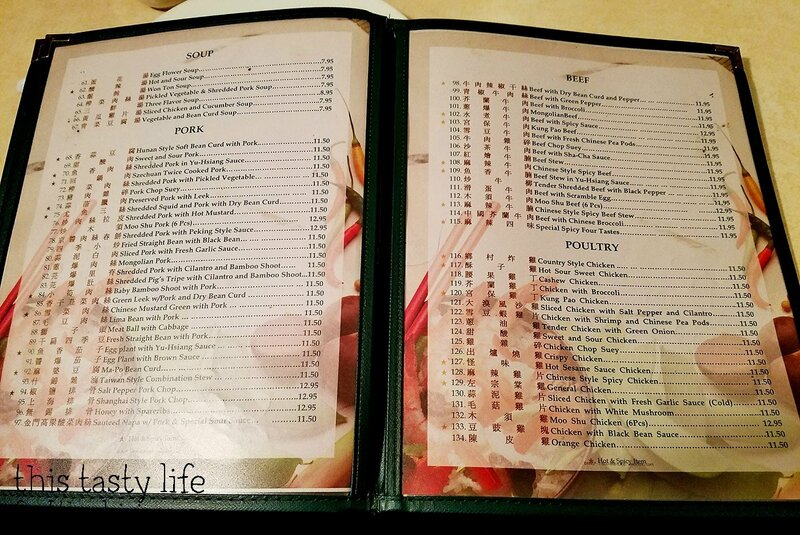 The menu prices have gone up a little in four years, but not too drastic. 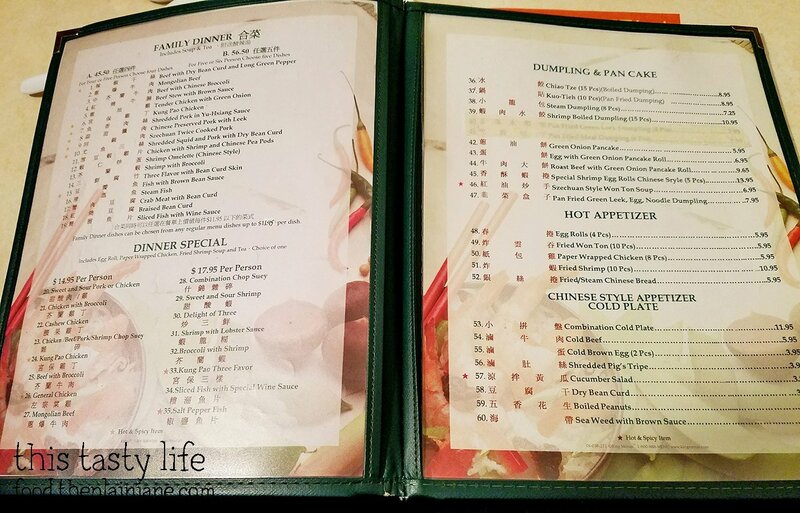 When I ordered all of our food, our waitress was impressed this time. She said, “You must have been here before, you know all the good things!” Last time the waitress told us what to order! Most of the food we ordered we got on our previous visits. 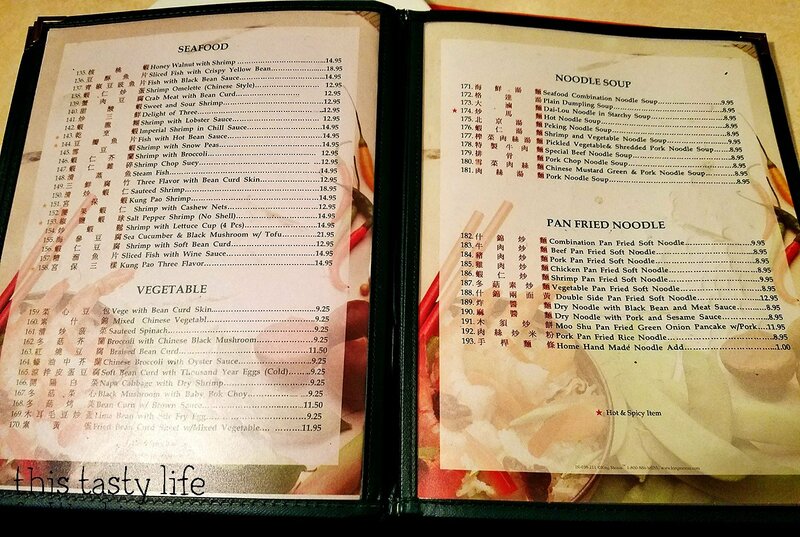 The Combination Pan Fried Noodles [$9.95] dish is one of them. 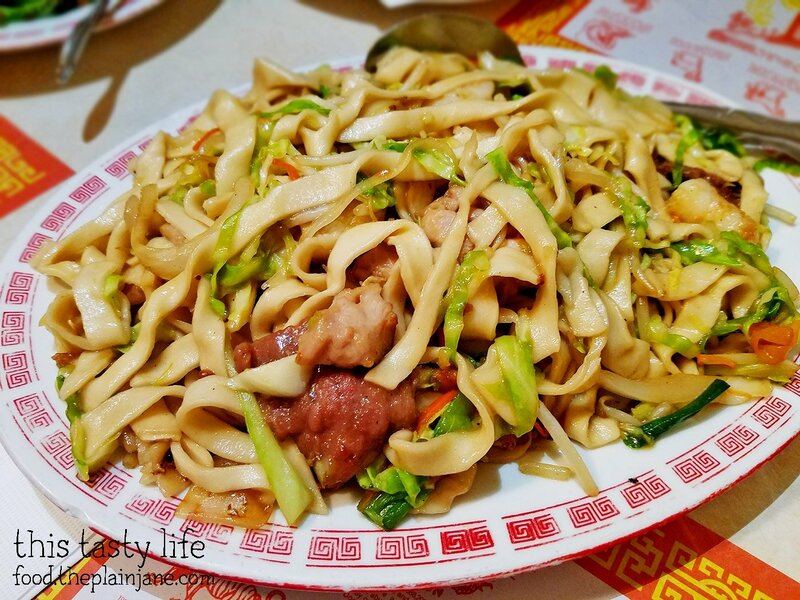 Pay the extra dollar and get the homemade noodles – they are worth it! The combination noodles has all the meats in it – pork, chicken, and shrimp. I didn’t notice any beef in the dish. Maybe they don’t do beef in this one. In any case, it is freaking delicious and I love these homemade noodles! There’s also cabbage, carrots, and onions in the mix. Maybe some other veggies. But the veggies are used a filler. It’s still mostly NOODLES and I love that. The only additional item our waitress suggested we get are these green beans. 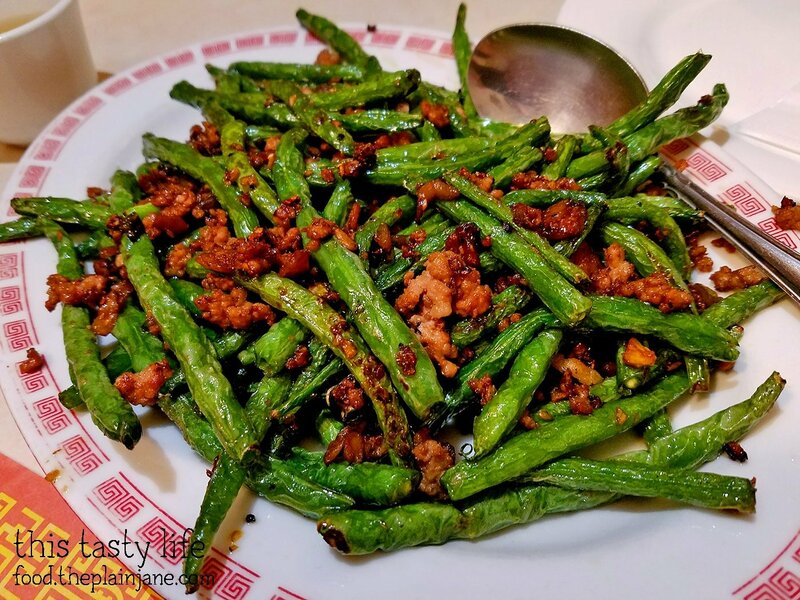 I think on the menu these are called Fresh Straight Bean with Pork [$11.50]… but I think if you just ask for “green beans” this is what you’ll get since this is what our waitress called them. The beans all look kind of wrinkly – I’m guessing from being wok-fried. The pork bits were delicious with the green beans and amazingly enough, this was T’s favorite dish. Both Jake and T raved about how yummy these green beans were which surprised me since they usually shun “green stuff”. There was a wonderful flavor with these beans and the pork made this even tastier. Awesome suggestion from our waitress! I spied the Honey with Spareribs [$12.95] under their House Specials and decided to give it a go. These little nuggets of pork were scrumptious! You could really taste the honey in the sauce and I liked the addition of sesame seeds on top. Sometimes you’d get a sparerib with a little cartilage in it, but it was easy enough to take out. I didn’t really encounter any bones, thankfully. There’s a nice outer coating on the spareribs and the sauce is where it’s at on this one. I remembered this one fondly from our previous visits. 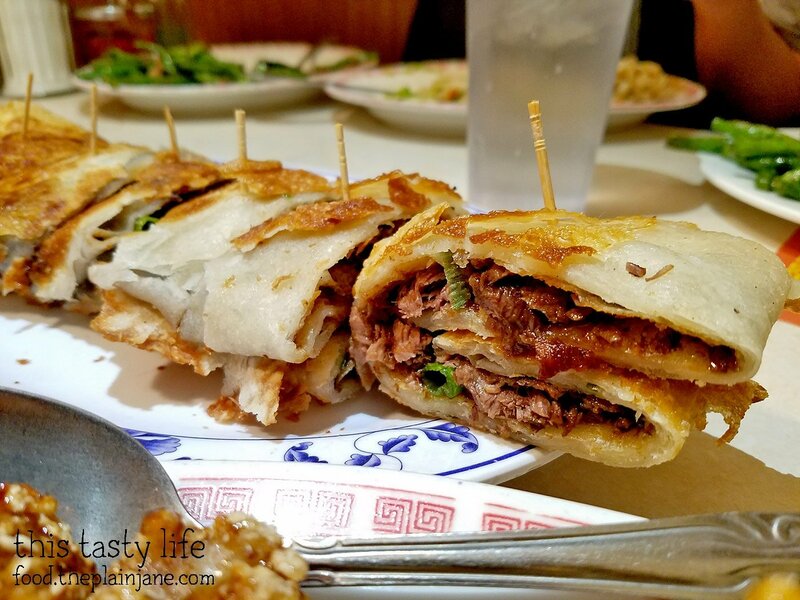 This is the Beef Roll, or as the menu calls it, Roast Beef with Green Onion Pancake Roll [$9.65]. 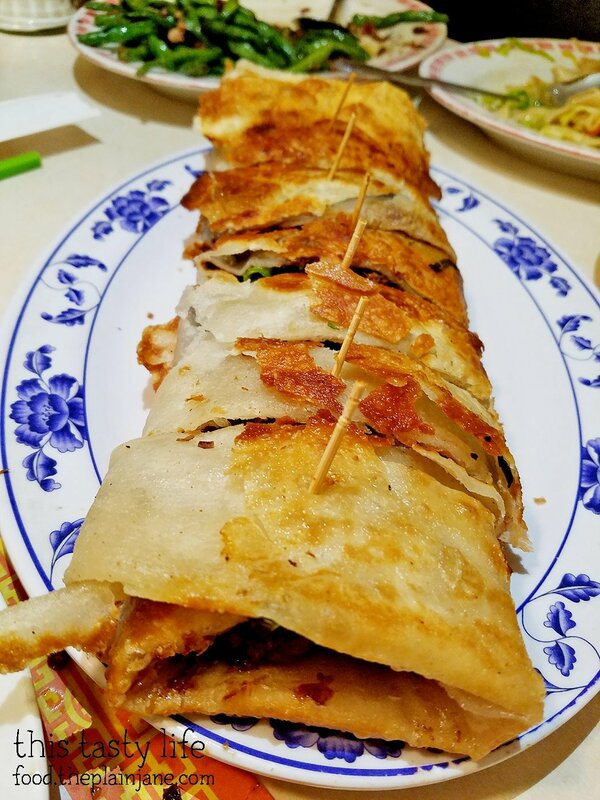 I also like to think of this as a “Chinese Burrito” since it kind of looks like one. It’s sliced into pieces so you can easily grab a piece and stuff it into your face. 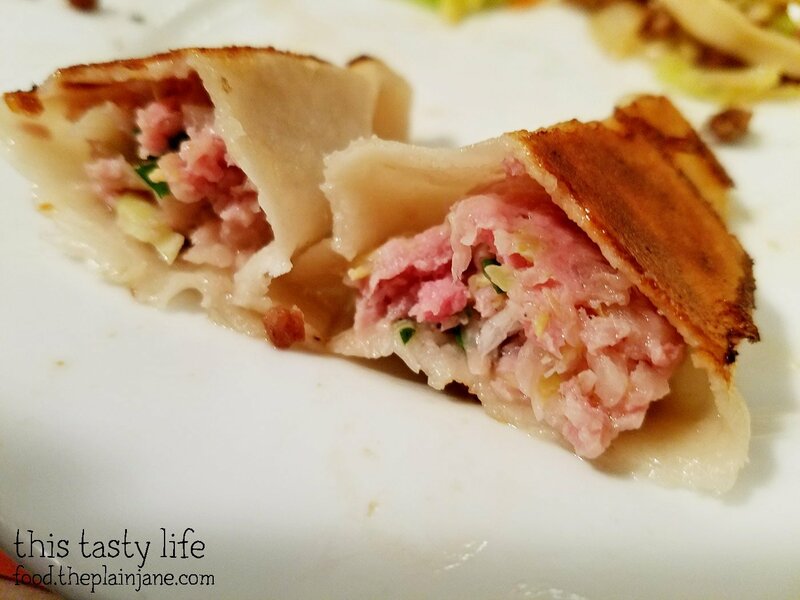 The “roll” is on the thicker side and has a nice crunchy edge to it. There’s a thick sweetish sauce on the inside along with the thin slices of beef and some green onions. Tasted just as wonderful as the first time we had it! I think this is one of my favorite versions of Beef Rolls. And last but not least…. I had to get some dumplings! 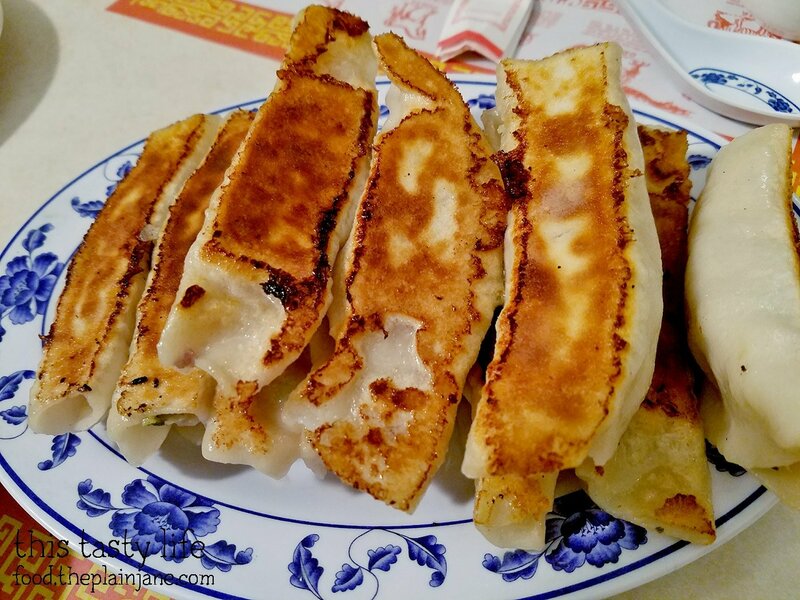 On Peking Restaurant’s menu, these are called Kuo-Tieh or Pan Fried Dumplings [$8.95]. They almost look a little squarish! Or… sorry… recantagle-ish. Is that a word? Anyway, the bottoms of these dumplings are PERFECTION. They are golden brown and crispy. On the inside there’s a pork mixture with onions and I have no idea what else is in there, I just know that it’s tasty and you should order this appetizer when you go here. We didn’t get the magic dipping sauce this time because I didn’t remember it and our waitress was too busy to notice we didn’t have it. 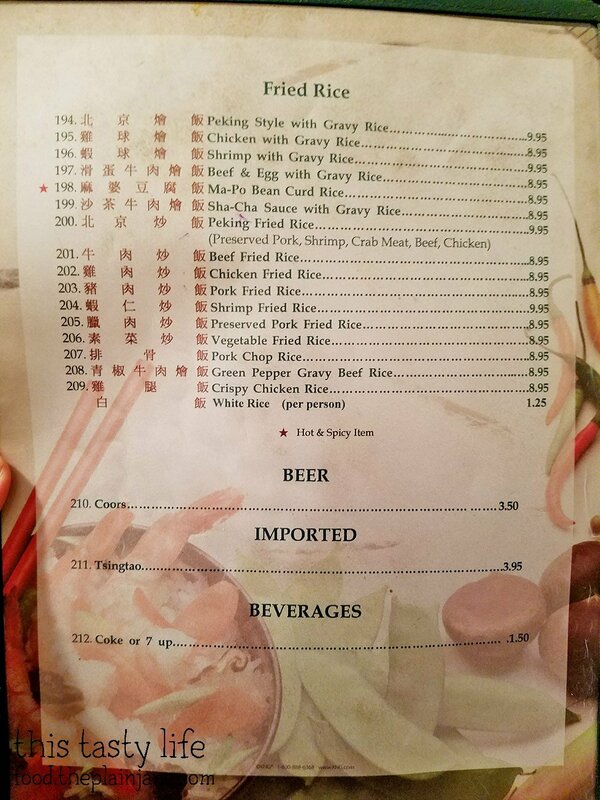 Peking Restaurant was packed on a Saturday night! We will definitely be back again since the food has shown itself to be consistently good – even four years later. 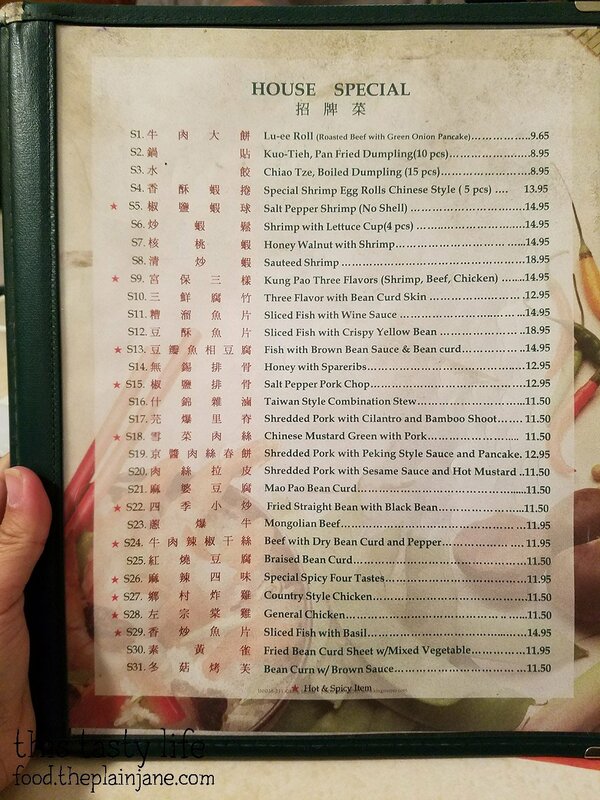 Those honey spare ribs look so tasty! I like the browned look of the pan fried dumplings. Crisp on one side. I like my foods with some sort of texture and those look pretty good. Hi CC – I think you’d really like this place. Cheap and GOOD food. Wish we had more places in San Diego with the handmade noodles option.